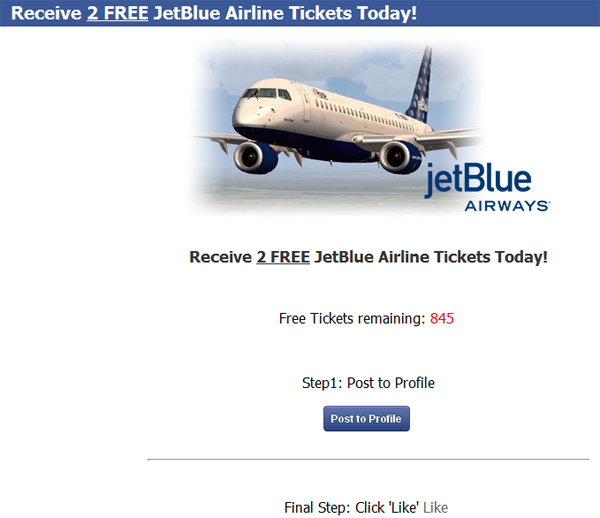 JetBlue Airline is giving away 2 FREE Tickets to all facebook users! By reading the Terms and Conditions of the ‘deal,’ you quickly discover that you and three friends that you refer have to complete a total of 11 ‘reward offers.’ These offers often cost money. Also keep in mind that your personal data will be shared with other marketers, sponsors, scammers – whatever you want to to call them! 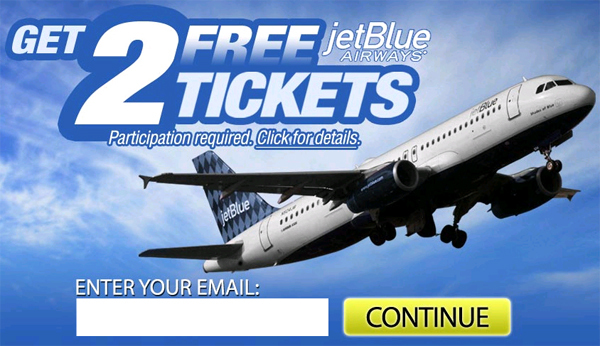 You are usually required to provide your name, address, phone numbers and date of birth. This will enable the shady marketers to not only spam your Facebook account, but also harass you via snail mail, phone calls and text messages.